The Mazda CX-5 is up 68% to #5 overall in a market down 28.8%. 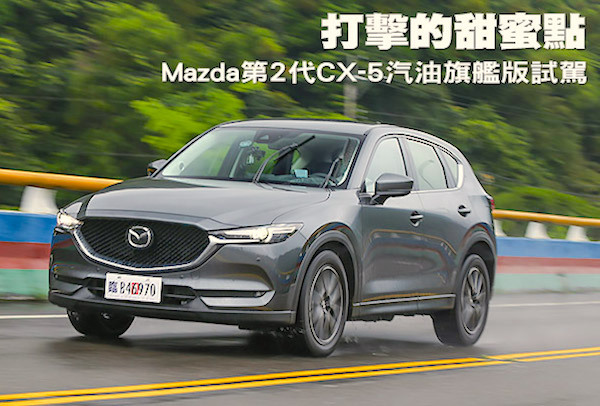 Due to the national holidays falling at a different time of the month this year, the Taiwanese new car market plunges 28.8% year-on-year in August to just 26.035 registrations, pulling the year-to-date volume down 1.1% to 291.285 units. Brand leader Toyota (-48%) falls much faster than the market, losing almost half its sales compared to August 2017 and falling to 20.5% share vs. 24.2% so far this year. Mitsubishi/CMC (-20%) and Mercedes (-20%) both resist at #2 and #4 respectively but it’s Mazda (+19%) and Volkswagen (+42%) that stun by lodging double-digit year-on-year gains. Lexus (-38%), Honda (-38%) and Nissan/Infiniti (-46%) sink. Model-wise, the Toyota Corolla (-61%) remains the best-seller but freefalls, distancing the Toyota RAV4 (-43%), CMC Veryca (-25%) and Toyota Yaris (-33%). The Mazda CX-5 leaps up 68% to 5th place, the Mitsubishi Delica is up 1% to #7 and the VW Tiguan is up 381% to #13. Notice also the Porsche Cayenne up 105% to slice its July ranking in two at #30. Full August 2018 Top 10 brands and Top 80 models below.